Come find a furry friend to love! Donate a kuranda bed for the cats! Beds will be shipped directly to BARKS. Please drop off goods at the Byram Pound or Contact BARKS for further info. BARKS works in association with the Byram Pound located on Mansfield Drive in Byram Township, N.J. In addition to the pets that can be seen at the Byram Pound, we also have many cats in foster homes and several dogs in local kennels. All pets can be seen by appointment by contacting (973) 300-3185 or info@barksinc.com. In addition, many adoptable pets can be seen at our regularly scheduled adoption days which are listed in the event calendar. A big thank you to these fellas at Sussex County Vo-Tech! Under the direction of Steve Wagner, they built BARKS a new 'Donation Doghouse'! If you shop at Amazon, please read this! Hover over bolded dates for event details. Read more and RESERVE NOW! Thank you! 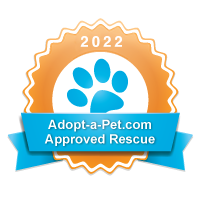 Your tax-deductible donations help keep BARKS going! © 2017 BARKS, Inc. All Rights Reserved.